Season 1 of Star Wars Resistance rolls on, another episode down, and again we are left waiting for business to pick up. With nine episodes to go in this first season, we’ll have to wait a bit longer to experience the action, excitement, and intensity brought forth by the second-half trailer. While this episode teases a connection to the First Order’s Starkiller operation, it is just a pecking on the surface in an episode mostly filled with slapstick and light humor. 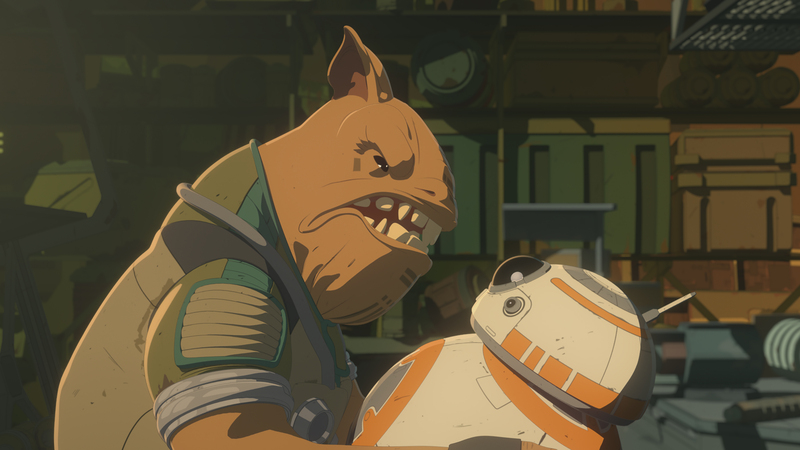 The plot of the episode is based on Kaz striking a deal with Flix and Orka, offering to run their Office of Acquisitions while they are away in exchange for parts. As you may expect, hijinks ensue. Kaz ends up in trouble once again, as a customer named Teroj Kee (who claims he is with the Mining Guild) steals a phase connector from the back room. We find out this device is used for heavy-duty mining and drilling of planets. Now my mind immediately went to Starkiller base, so is the First Order still putting the super weapon together this late in the game? It seems like it. This is the closest we’d get to anything remotely related to the events teased in the second-half trailer. Beyond this was a return of slapstick and silliness, with Flix and Orka’s pet “Bitey” serving as a supporting dose of comic relief. We do get a solid chunk of time with BB-8 fighting with this episode’s antagonist Teroj Kee. The episode served as a reminder for me that BB-8 won’t be around much longer as the events crossover with The Force Awakens, because as we know BB-8 needs to accompany Poe Dameron to Jakku. We’ll likely see the two of them depart for Jakku at some point in the next 8 episodes leading up to the season finale. That will be a nice tie-in. The fact that we know Resistance is going to heat up leaves me eager for next week’s episode, but I have to be honest in that this episode didn’t do anything for me. I felt disengaged for most of it, and if Star Wars content can’t hold my attention for 22 minutes, something is off, because I am typically locked in and immersed in the story. 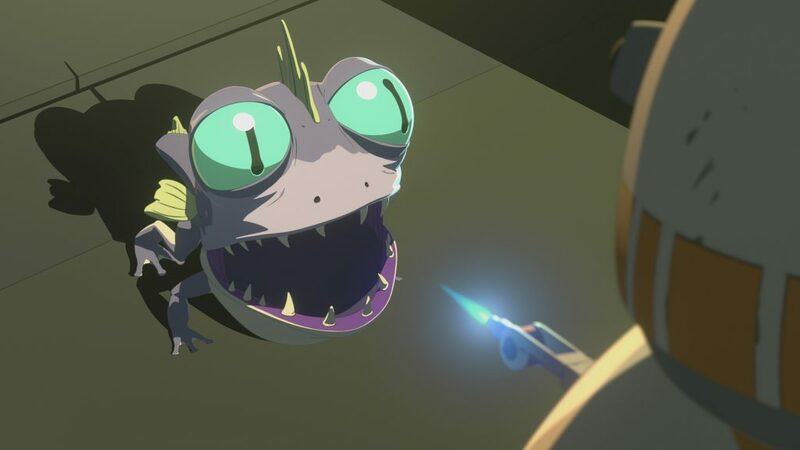 Back in October, Lucasfilm Animation publicist Tracy Cannobbio confirmed the season would have 22 episodes, while praising the penultimate episode of the first season. I imagine the destruction of the Hosnian system will end season 1, and being that Kaz is from the Hosnian System, it should be an incredibly dramatic and emotionally-weighted finish. But until then, let’s see what Captain Doza is up to in Sunday’s upcoming “The Doza Dilemma.” Perhaps we’ll really start getting into dangerous business!